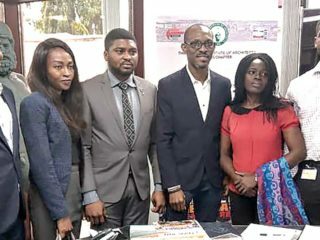 Although, the federal and state authorities, even manufacturing firms are increasingly aware of the scale of plastic pollution, actions to curb the menace are taking a snail pace, write Chinedum Uwaegbulam, Bertram Nwannekanma and Victor Gbonegun. With the production outpacing almost every other material population, plastic waste is now one of the biggest environmental scourges of the time. The scale of the challenge is daunting. According to the State of Plastics report, only nine per cent of the nine billion tonnes of plastic in the world ever produced has been recycled. Most ends up in landfills, dumps or in the environment. It predicts that if the current consumption patterns and waste management practices continue, by 2050, there would be around 12 billon tonnes of plastic litter in landfills and the environment. By this time, if the growth in plastic production continues at its current rate, then the plastic industry may account for 20 per cent of the world’s total oil consumption. 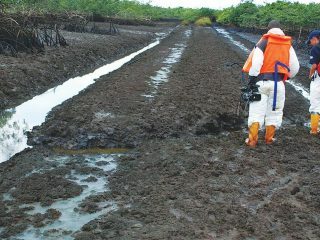 The growing trend has given nightmare to environmentalists and sanitation agencies in Nigeria. Plastics litter all nooks and crannies of major cities and towns. The most common are plastic drinking bottles, plastic bottle caps, food wrappers, plastic grocery bags, plastic lids, straws and stirrers, other types of plastic bags, and foam take-away containers. Like in advanced countries, Nigerians have been caught up with a throwaway culture that treats plastic as a disposable material rather than a valuable resource to be harnessed. No day passes without commuters throwing plastic bottles on the streets. The indiscipline has reached a feverish level. Everywhere you go; empty plastics litter the surroundings and becoming a nuisance. Most plastics do not biodegrade. Instead, they slowly break down into smaller fragments known as micro plastics. Worryingly, little is known about the impacts of micro plastics on human health. Studies revealed that plastic bags and containers made of polystyrene foam could take up to thousands of years to decompose, contaminating soil and water. Micro plastics, if ingested by fish, can enter food chain. They have been found in commercial table salt and studies show that 90 per cent of bottled water contains plastic particles. The economic damage caused by plastic waste is vast. Studies say, the total economic damage to the world’s marine ecosystem amounts to at least $13 billion yearly. It has also impact on the tourism, fishing and shipping industries. Within other climes, governments are taking some drastic measures to sanitise the environment. For instance, in Ireland customers are forced to pay for plastic bags. Money raised from the levies is paid to a fund devoted to combating plastic pollution and other environmental challenges. The governments of Rwanda and Kenya have banned the manufacture, use, sale and importation of all plastic bags. In those countries, paper bags have replaced plastic ones and citizens have been encouraged to use reusable bags made from cotton. Incentives were provided to companies willing to invest in plastic recycling equipment or in the manufacture of environment-friendly bags. Similarly, in several developed and developing countries, the introduction of Extended Producers Responsibility (EPR) and deposit-return schemes has reduced littering from post-consumer polyethylene terephthalate (PET) bottles and boosted the recycling sector. Germany, Japan and South Africa are a few among many of the successful examples of countries in which the responsibility for recycling used PET bottles is shouldered by the manufacturers. EPR programme promotes total life cycle environmental improvements of products by extending the responsibility of the manufacturers of the product to various parts of the entire life cycle of the product, and especially to the take-back, recycling and final disposal of the waste. Here in Nigeria, the Federal Ministry of Environment through its enforcement arm – the National Environmental Standards and Regulations Enforcement Agency (NESREA), has adopted EPR model due to the economic, health and environmental implications. 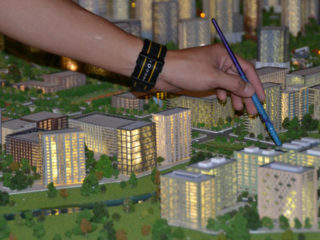 This is in line with the National Policy on Environment (1999) (Section 4.12 and 4.19) which stipulates that sustainable industrial development can be achieved through policy initiatives that seek, among others, to ensure production processes incorporate realistic programmes for waste minimization through material recovery and recycling. Senior officials of NESREA said: “The EPR programme is a statutory provision in the various National Environmental Regulations in the “brown environment” sector, including the Food, and Beverage sector and the Electrical Electronic sector. “The Regulations were developed pursuant to sections 25 (1) of the NESREA Act, 200” to make regulations for the purpose of protecting public health, promotion of sound environmental sanitation, and protection of the environment. Operational Guidelines for the EPR had been developed and published, delineating responsibilities for the key sector players – the producers, consumers, collectors, recyclers, the Producer Responsibility Organizations (PROs) and the government. He disclosed that the implementation of the EPR programme is starting first in two sectors – the food and beverage and the electrical electronic sectors. The food and beverage sector has established a working group comprising some key manufacturers in the sector to fast-track the process, including the registration of the sector’s PRO. In addition, NESREA has established the Alliance on Sustainable Consumption and Production (ASCP), which promotes green and circular economy. The membership of the alliance includes relevant government agencies whose primary mandate has strong bearing on sustainable consumption and production patterns. To kickstart the move, NESREA aligned with the Food and Beverages Recycling Alliance (FBRA) and other manufacturers to fight the plastic menace. Pioneer members of the alliance are Coca-Cola Nigeria Ltd, Nigerian Bottling Company Ltd (NBC), Nigerian Breweries PLC, Seven-Up Bottling Company Limited and Nestle Nigeria Limited. FBRA is a global framework of action for a collaborative and partnership approach between government, business and the larger society towards achieving a zero-waste society. The alliance is committed to ensuring through its educative and communication change awareness programmes, proper waste disposal, collection and recycling of packaging waste. FBRA is collaborating with NESREA to ensure industry compliance to the EPR policy. The alliance participates in stakeholders’ forum to drive policy formulation and compliance while focusing on environmental governance as a critical factor toward ultimately achieving a green economy for sustainable development in line with global standards. The Chairperson of the alliance, Mrs. Sade Morgan told The Guardian that FBRA is an industry-driven Producers’ Responsibility Organisation that is committed to achieving a cost-effective and efficient post-consumer polyethylene terephthalate (PET) bottles collection scheme through recognised collectors and recyclers in Nigeria. She explained that the alliance has structured its implementation programmes in three categories: One: Communication and advocacy intervention to educate the populace on proper waste disposal of PET. Two: Collection of post-consumer waste PET from the environment through designated collectors and placement of bins in strategic locations; Three: Partnership with recyclers or off-takers to convert the collected PET to other uses like energy, fiber and textiles. “The Alliance recently signed a three-year Memorandum of Understanding (MoU) partnership with Lagos State for the joint clean-up and prevention of waste pollution from plastics and other food and beverage packaging, on Lagos State’s inland waterways. According to her, FBRA and Lagos State government will jointly fund public awareness campaigns and advocacy on appropriate packaging waste disposal systems. Besides this, the alliance has a plan of activities, which includes collection of PET in partnership with identified collectors to retrieve and clear PET from streets, landfills and waterways. “The alliance is fully committed to driving through its educative and communication change awareness programmes, that there is proper waste disposal. This would culminate in developing effective collection systems and then recycling of packaging wastes. “This must be done in partnership with federal and state governments, regulatory agencies, private collectors, recyclers and other relevant stakeholders,” Morgan added. To change this narrative, environmentalists are stressing the need for positive actions on the part of companies, manufacturers and people to reduce the use of single-use plastics as well as reduce the use of plastics for the packaging of their products. The President, Society For Environmental Toxicology and Pollution Mitigation (SETPOM), Dr. Funmilayo Doherty said most of these plastics are single use and disposable plastics which create even more problem by clogging the drainage system, littering the streets and environment. “These plastics eventually find their way into the water bodies causing harm to aquatic animals. Research has shown that some aquatic animals ingest these nylon materials, which causes suffocation and death. “Plastics are not biodegradable and with the rate at which they are produced and not recycled, they remain in the environment for a long period. Plastics are also known to contain bisphenol-A and phthalates, which leak out of the plastics into the food or liquid. These chemicals can cause various health problems including cancer. “Reducing our use of plastics especially the single-use and disposable plastics should be seriously considered”, she added. Dr. Funmilayo also stressed the need for the implementation of the Extended Producer Responsibility Policy in the country to promote plastic waste reduction. “The problem we usually have in Nigeria is that of enforcement, the relevant agencies should put measures in place for the effective implementation of EPR. Manufacturers should therefore take responsibility for the entire life cycle of their products. 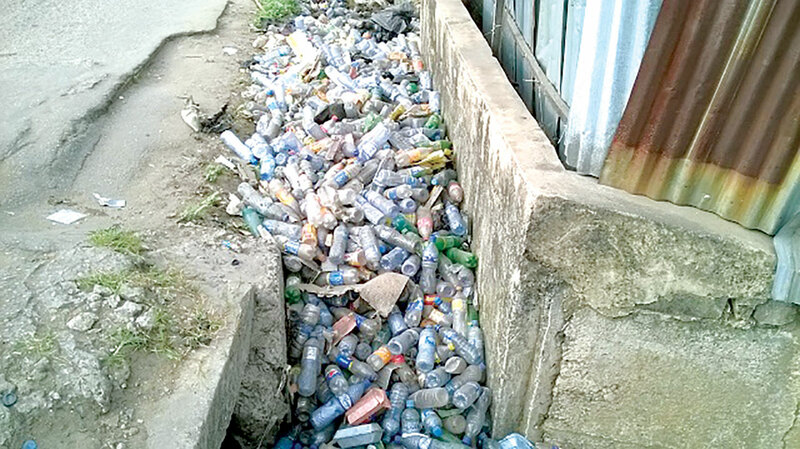 “The unpleasant sight of plastics littering the environment has been accepted by many people as part of Lagos city life, and this is quite disturbing”, she noted. On the role of SETPOM on this, she said the society has initiated programmes and projects aimed at environmental advocacy and education to enlighten people on environmental hazards. “Most especially, we are focusing on the younger generation, we have SETPOM environmental squad for primary schools pupils and the annual green essay competition for secondary schools and the theme for this year is on innovative ways of solving plastic pollution”, she added. NBC, one of the leading manufacturers of plastic bottled products, revealed that the company has a Post-Consumer Packaging Waste Management Policy Statement, which supports the collection and recycling of all packaging wastes, including PET and guide its activities. According to the Director, Public Affairs and Communications, Morgan, this policy continues to drive light-weighting efforts for primary packaging and encourages the use of re-usable and more efficient packaging design. For instance, in 2008, NBC introduced the ‘Ultra Glass Packaging’, which is a more environment-friendly glass packaging for its products and reduce our environmental footprint. According to the company, this policy has been effective as it continues to drive the cost-effective and efficient post-consumer PET collection scheme as well as other recycling initiatives. “NBC is taking measures to engage in public awareness campaigns, selective waste collection education and anti-littering campaigns. Littering of our environment is the major culprit in environmental pollution and once this is addressed, our streets, drainages and waterways will be free from plastics,” it said. On the efforts to reduce the menace of plastic waste in Lagos, the compliance Manager, Seven up Bottling Company Plc., Mr. Abayomi Abiru disclosed that the firm is already into partnership with the Lagos State Government on how to start the recycling of the waste in the state. According to him, an MoU will soon be signed for the take-off of the exercise. He said Lafarge Africa Plc is also part of the arrangement explaining that the company as part of the move, will provide support to the people who will pack the plastic waste. He revealed that the firm would use the waste material to power their funnel. “Currently we are partnering the state government and there is supposed to be a memorandum of understanding that would be signed with the Lagos State government on the recycling of plastic waste. “Lafarge will also help by supporting the people that will pack the plastic. We are working on that at our headquarters and I’m sure that when we are done with that arrangement, the media would also be involved,” he said. Abiru further explained that deliberations on the plan had been in the offing for about five years and were reaching their climax very soon. “We are strongly working toward the removal of plastic from the street in collaboration with the Lagos State government”, he said. A visit to Cascade Table Water located at Ilupeju Lagos revealed that the company has no plan towards curbing the plastic despite being one of the highest producers and distributors of plastic bottle water in Oshodi axis and other part of Lagos. In a reaction to an enquiry forwarded to the company, an official of the company, said; “We are not doing anything about plastic waste pollution for now”. 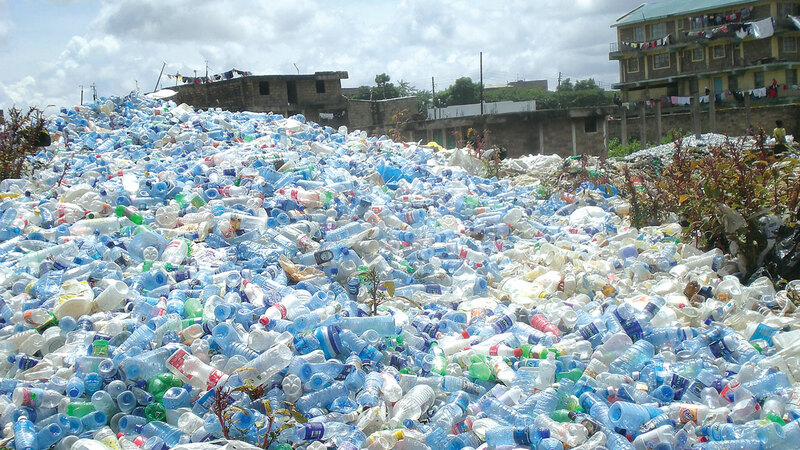 Also, the Chairman of Lagos Branch of Institute of Safety Professionals of Nigeria (ISPON), Mr. Timothy Iwuagwu said there was the need to go beyond talking to start practising in order to mitigate the effect of plastic pollution in the country. He called for good practices that could help the environment. For Professor of Ecotoxicology, University of Lagos, the founder of SETPOM, Adebayo Otitoloju, there is the need to promote extended producers’ responsibility programmes which transfer responsibility to the producer for the entire life cycle of their products. This means that the companies must take control, post-consumer stage, they have to take control like cocoa cola, they have a producer responsibility programme, which enables them to meet recycling companies to take their products and then recycle them. He stressed that SEPTOM is propagating recycling and refuse of single use plastics because it believes that there are better options that can be used by companies which will prolong use of the materials. “We promote recycling of materials that are recyclable. The one that we cannot, we promote refusal, that is really our own agenda in SEPTOM. We also propagate the need for alternatives, alternative packaging material will be able to put away plastics for the ones that are even more environment-friendly, that is bio plastics because the contents are of natural products. 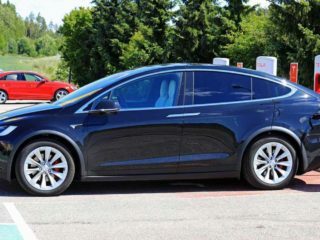 “We propagate that new companies should come on board to promote the use of bioplastics, which are easier to replace when the get to the environment. “We support a situation whereby companies take ownership of most of their products, a situation whereby companies take interest for consumers to recycle plastics for some kind of incentive through recyclers’ extended producers programmes that a lot of them are doing, which Nestle has also introduced in Nigeria. In Central and West Africa for example, Nestlé is supporting the Ghanaian Government’s efforts to better manage plastic waste, as one of eight founding members of the Ghana Recycling Initiative by Private Enterprises (GRIPE). As part of this coalition, Nestlé is working with other major industrial companies including Unilever and Coca-Cola, to integrate sustainable waste management solutions and advocate improved waste management practices in Ghana. Speaking on menace, the Production Director for C-Water Isolo Lagos; Mr. PENG Ke Chao said plastic wastes in the environment have become a source of concern to the company, stressing that it planned to organise programmes in partnership with the Lagos State Environmental Protection Agency (LASEPA) to go into public spaces like streets and markets and enlighten the people on negative effects of indiscriminate dumping of such waste materials in Lagos and its environs. He stated that the company plans to set up recycling plants for plastic wastes, stressing that the decision would not be immediate. “We don’t have a recycling plant for plastic bottles, we only have for the big bottles used for water dispenser. The only thing we recycle here is the immediate wastewater. When LASEPA came to our company, they advised us to do an Effluent Treatment Plant (ETP) because of the nature of our waste and so some tests were carried out and we discovered that effluent is not too hazardous to the environment. We were advised to recycle first stage water waste. “Through the sale and marketing unit of our firm, we try to enlighten the public on the need for a proper disposal of plastic wastes, especially bottles to avoid blockage of canals and drainages during the raining season.” He said. Ke Chao explained that the firm currently works with some government environmental experts who record and take off the in-house wastes from the company. “What we have in place is an in-house programme, we have contracted agencies registered by the Lagos state government that come here to pack the wastes. Aside from that, the plastic wastes that we generate like nylons are taken to the store after we have gathered them, for registered agencies to pick them up for recycling,” he stated.